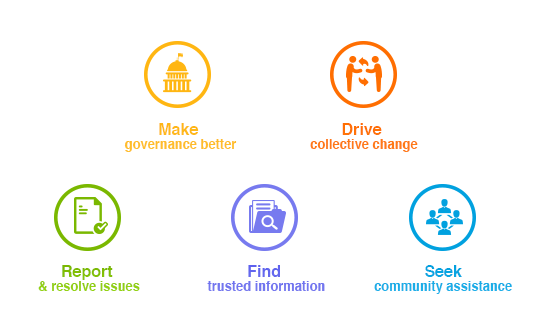 Gurgaon, India, January 15, 2016 – LocalCircles (www.localcircles.com), India’s leading citizen engagement platform today announced results of the Odd-Even citizen survey in Gurgaon. Considering that a large number of Gurgaon residents travel to Delhi for work and leisure every day, many of them have experienced the odd-even rule in the last 2 weeks. 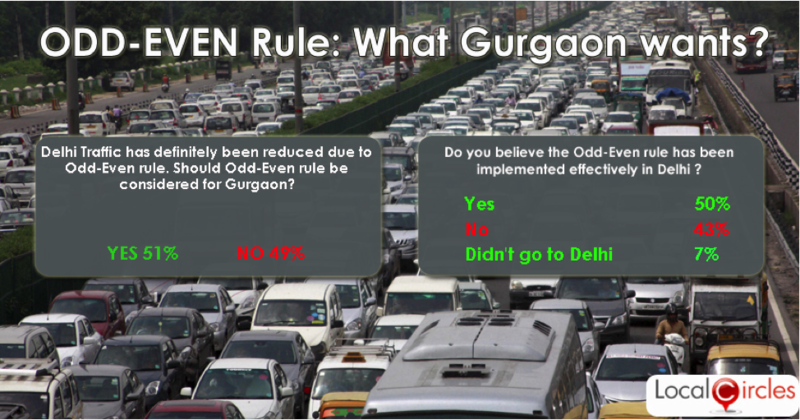 This poll was conducted to gauge the success of the rule and get citizen insights that can potentially be used to replicate the odd-even rule in Gurgaon. This exercise was conducted via a set of polls and free form discussion amongst the citizens of Gurgaon. Citizens have credited the Delhi Government and Police for exceeding expectations on the implementation front with 50% Citizens outlining that the Odd-Even rule has been implemented effectively. Also, while citizen responses suggest that only limited impact on the pollution front has been visible so far, citizens are happy that there were less traffic jams on the roads of Delhi. 51% Citizens also said that there was visibly less traffic on Delhi roads during the first 14 days of the rule and that an odd-even rule should also be implemented in Gurgaon as well.